“It just kept going on this upwards trajectory of fun,” explains Lars Bakken excitedly. 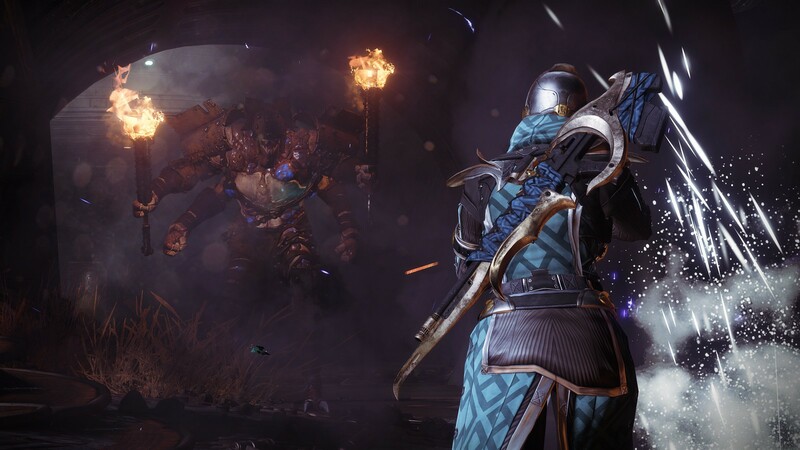 Gambit’s Design Lead is talking about the growing list of gameplay mechanics that would go on to shape Destiny’s all-new activity. While the specifics of what Gambit would be have evolved over the past 18 months, two things remained constant: its name, and its adherence to three core design philosophies: new, different, innovative. 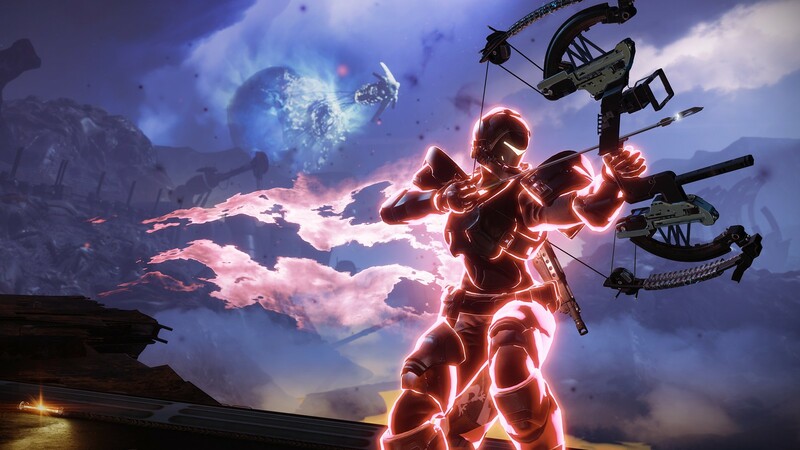 “We wanted something that took the best parts of Destiny and smashed them together,” remembers Game Director Steve Cotton. An initial build, centred around a team-based gameplay loop (“Shoot combatants, watch something shiny pop out, grab it, bring it to the centre of the map”) formed quickly. It had a great hook, but Bakken knew they needed more to keep players coming back. And so one team became two, a light competitive angle became a frantic race to cash in the most points, and a climatic boss fight was built in to make sure the match didn’t fizzle. Fast forward over a year to the eve of E3, and we’re amongst the first group to experience the fully fleshed-out Gambit activity. 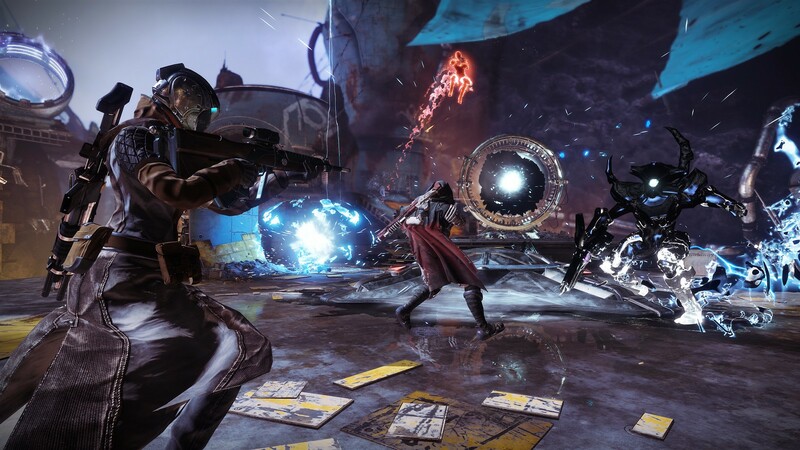 Boiled down, Gambit is a competitive, team-based speed run, hooked around four core steps: fight, collect, bank, invade (all four of which can be happening simultaneously). 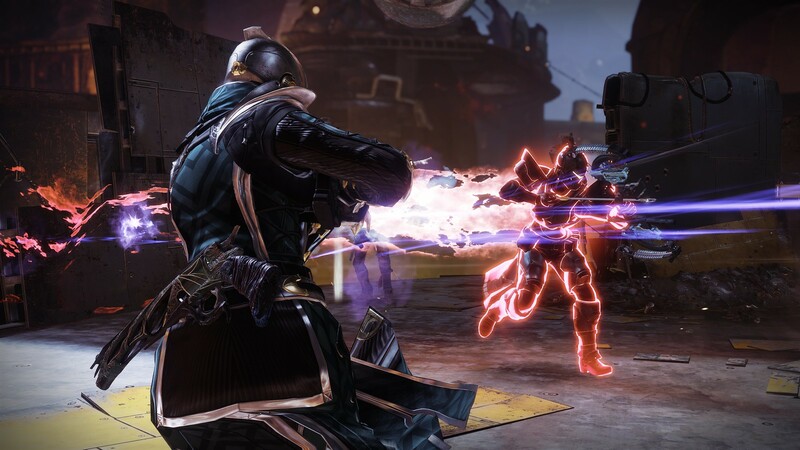 Across three rounds, two four-player teams get trigger-happy in separate (yet linked) arenas, racing to be the first to collect 75 motes from downed enemies. Hit that cap, and a boss (known as the “Primeval”) spawns in your arena. First team to down their boss wins. There’s that familiar arcade thrill typical of every Destiny firefight. But it also demands deeper team strategy to succeed. 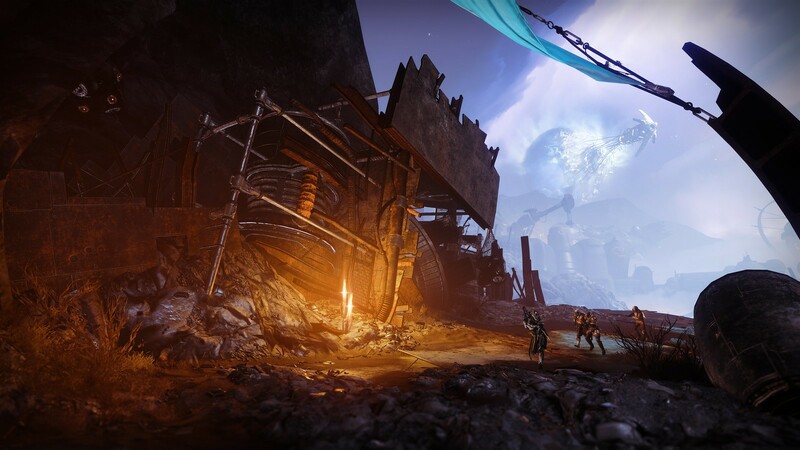 Teams can bank their motes to spawn higher-level enemies on the opposing side’s arena (known as ‘Blockers’), stopping them from cashing in theirs, or send in one of their own team (known as an ‘Invader’) to seed chaos. 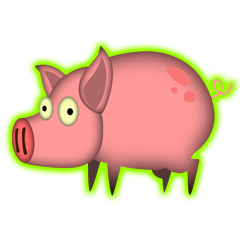 There are three levels of Blocker (small, medium, large) paid for by banking five, 10 or 15 motes. 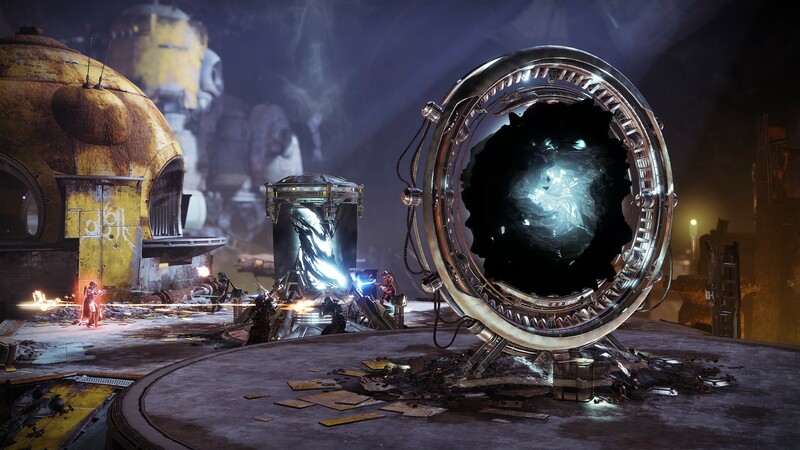 25 motes activate the portal that’s stationed alongside the bank in the arena’s centre. This allows a single Guardian from your fireteam to hop through to the opposing team’s arena. 75 motes will spawn the Primeval. As it stands now, the centre of the top of the screen HUD is dedicated to showing each team’s mote count, and will make it clear whether the opposing team has banked their motes or are just holding. In addition, a match commentator will call out important changes to the field – for example, where the next wave of enemies are appearing. Bakken references how four players neatly fit the mode’s ‘fight, collect, bank, invade’ mechanics as part of the reason for the team count. “You have your killing machine; your collector; your banker,” he explains. 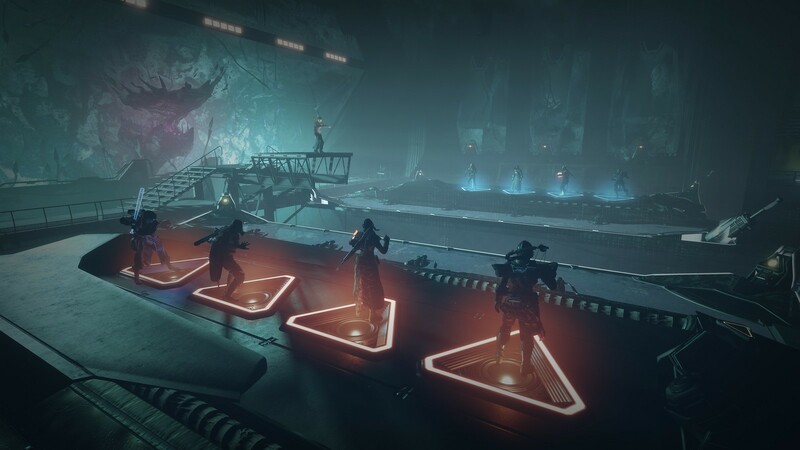 That critical fourth role, Invader, means three-Guardian Strike teams reach out to that buddy who’s the Crucible addict, further solidifying the crossover between PvE and PvP player bases. 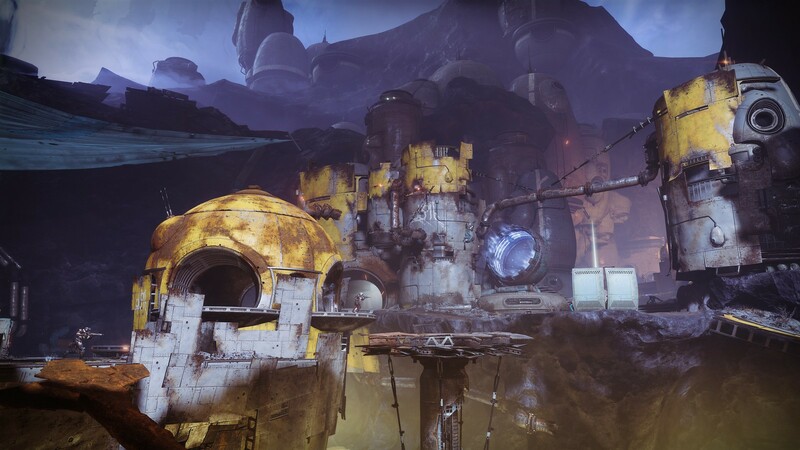 But it still gives PvE fans an opportunity to dabble in the PvP space. Bakken hopes that even those people who aren’t traditionally PvP fans will give it a try. As with everything else in Gambit, the team determined what the most compelling ratio was through playtesting. “4v1 feels better than 4v6, or 6v1,” explains Bakken simply. 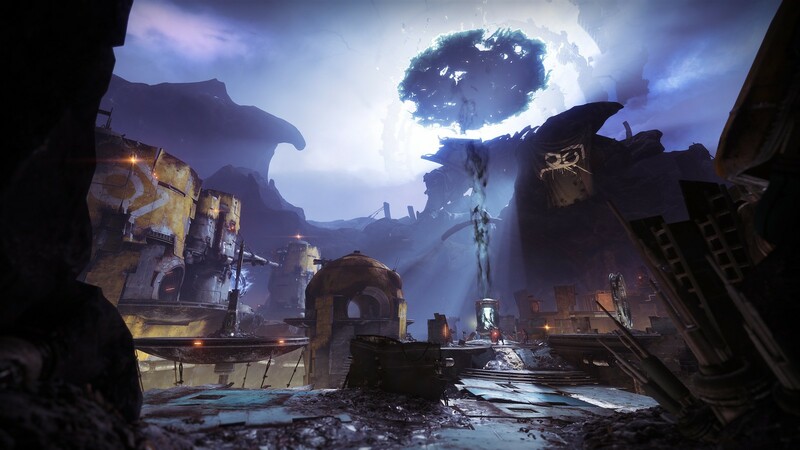 Cash in 25 motes into the arena’s bank in the centre of the map, and a portal opens up that’ll teleport one of your team to the opposing side’s arena with an overshield. The opposition will be notified of your invasion, and you’ll have 30 seconds to cause havoc before you’re pulled back to your side. 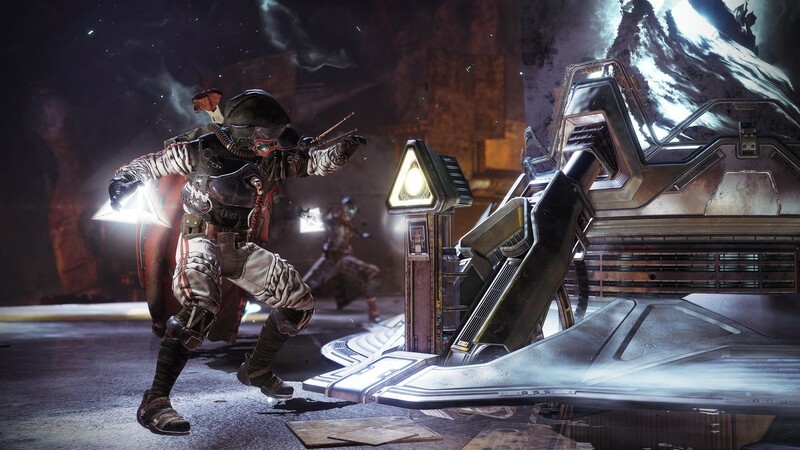 The team under invasion will have to decide whether they save their power weapons and Supers for their last-act Primeval clash or cleanse their area of a weapon-wielding virus. However, once the opposing team spawns their Primeval, your portal to their arena remains permanently open. And every Guardian kill your Invader notches up tops up the health of their Primeval. Nasty. 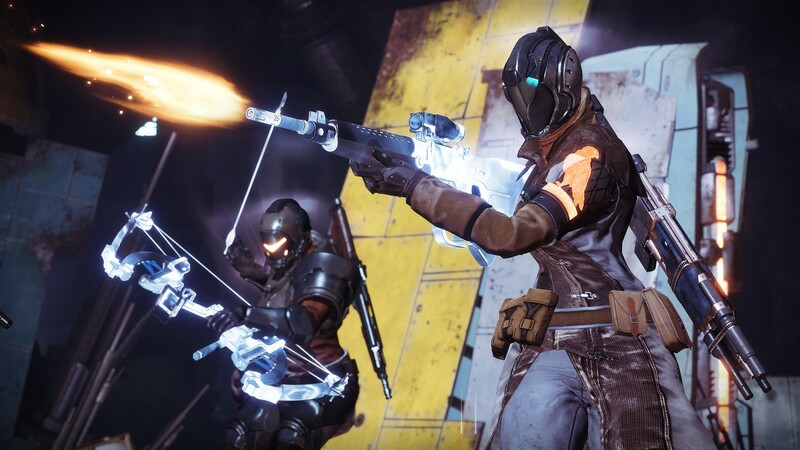 Play as an Invader and a new UI element will pop up: digits above each of the opposing fire team members, denoting the number of motes they hold. 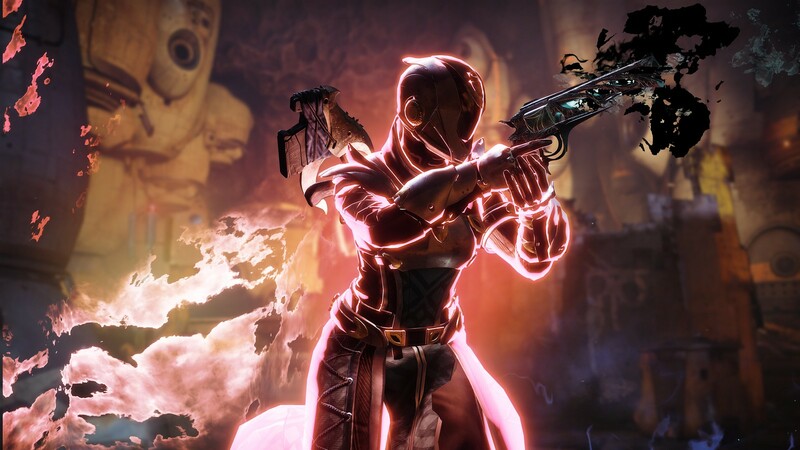 As killed players permanently lose their motes, Invaders can play smart and bankrupt an opposing side’s planned play with a well-aimed shot. 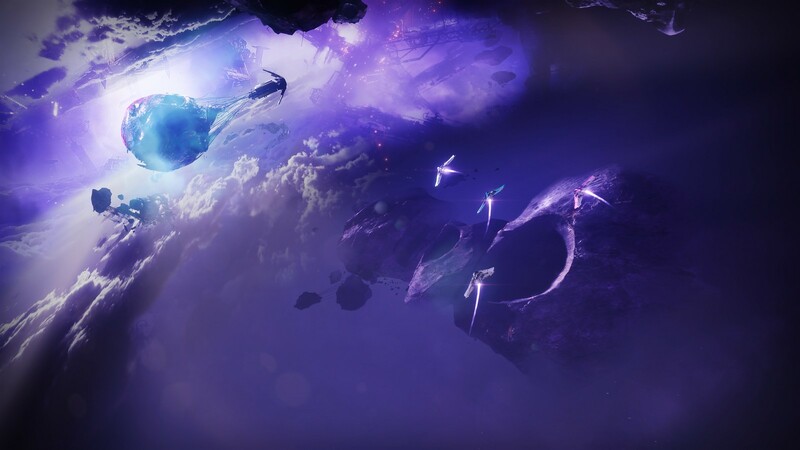 For this first hands-on, we’re transported to EDZ’s Emerald Coast, but it won’t be the only locale: Bungie has confirmed there will be four maps for Gambit’s launch. Tying this activity together, and playing Bungie’s in-universe Gambit architect, is the mysterious Drifter. “I won’t get into his back story,” teases Bakken of the new activity’s host. But he does point out that Gambit exists in a physical space in Destiny 2: Drifter’s ship, which during our hands-on is orbiting Earth. It’s to here your fireteam travels, letting you have an emote-off with the opposing team pre-match, and from here you’ll be transported to the match proper. The Drifter decides what alien race you’ll be fighting pre-match via a random choice and plays commentator during the match. 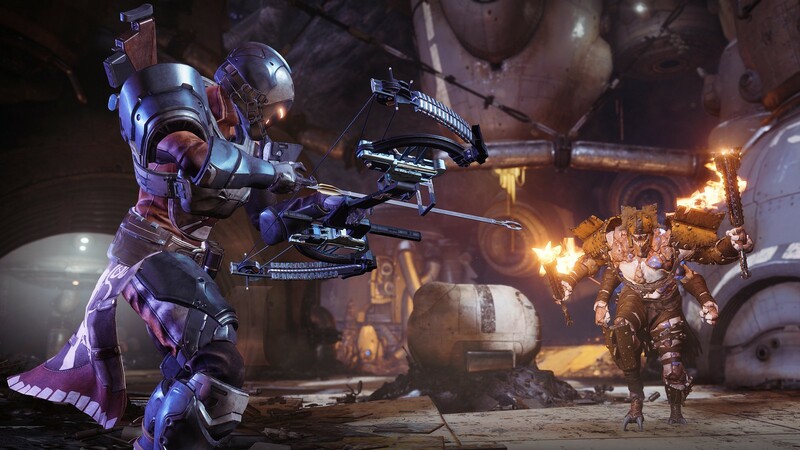 Gambit will launch as part of Forsaken, playable straight away, regardless of a player’s Light level or campaign progress. Unsurprisingly you’ll be able to net unique loot and weapons as you play. “I can’t wait to play this at home,” mutters Destiny 2’s principal producer Scott Taylor mid-match. The comment comes during a strikingly tense second round as both teams are neck and neck for motes. Taylor is hooked just watching. After an all-too brief hands-on, I’ve an itch to don my Titan garb once more and dive straight back in. Roll on 4th September. I love destiny and all there’s to it. 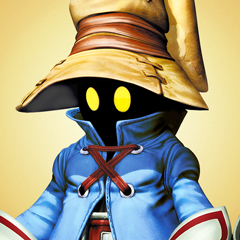 There’s no understanding to why there’s so much hate towards this game when it constantly pulls you back in. Thanks bungie for making it even more interesting. If you can’t understand the hate then I suggest you do some research on the subject. Poor dlc which is overpriced, getting caught out on deliberately cheating players, going back on their ‘Destiny will never have microtransactions’ statement etc etc. Agreed chijatsu. While this one may be a little lacking in endgame content so far, is there a better co op shooter for you and a couple of friends? 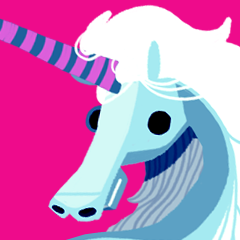 I will get this new content when it goes on sale, and I will most likely really enjoy it. I just won’t pay the outrageous prices they charge for their dlc. 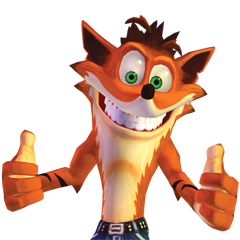 I think it’s a bit too early to hype up DLC’s/content that isn’t being released for a lil bit of time. Honestly the activity does seem cool enough, no lie. It’s just Destiny 2 was an underwhelming experience. admitedly they have improved it. They still ask quite the price for DLC. I’m not totally against paid DLC, if it’s worth the content. 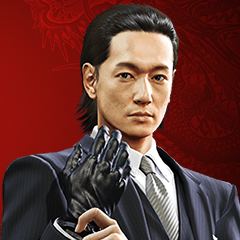 Also I would like to see some more work done to the end game, not only grinding powerlevel up. Gambit seems cool for an activity.